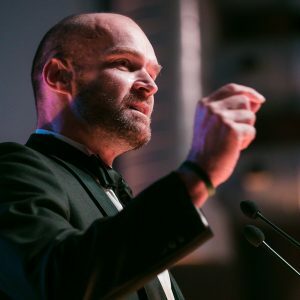 Northern Irish adventurer and award-winning filmmaker, Leon McCarron, is a passionate storyteller and a firm believer in the power of an adventurous mindset as a key element of fulfilment and success. Leon takes his audiences on a fascinating and inspirational journey that is sure to be remembered. 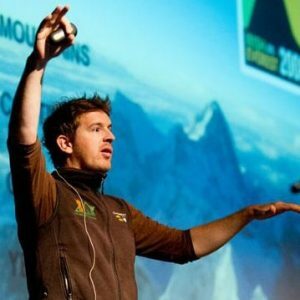 Leon McCarron is a Northern Irish adventurer and award-winning filmmaker who specialises in long distance, human powered expeditions. He is a Fellow of the Royal Geographical Society and his adventures have been shown on National Geographic. At the end of 2012, Leon crossed 1000 miles of the Empty Quarter desert, pulling a cart loaded with supplies, roughly following the route of explorer Sir Wilfred Thesiger. The following year, a feature length film entitled “Into The Empty Quarter” was premièred at the Royal Geographical Society in London. It has since toured the world via the festival circuit, picking up critical acclaim and awards en route. In May 2012, Leon concluded a 6 month journey from Mongolia to Hong Kong on foot. The unsupported expedition involved crossing the Gobi Desert in temperatures of -30C, camping in the shadow of the Great Wall, following the frozen Yellow River and surviving and thriving in wild and wonderful China. National Geographic used Leon’s footage to produce a 4-part TV-series of the journey, which aired in 60 countries around the world. Other journeys include 14,000 miles on a bicycle – solo and unsupported – from New York to Hong Kong, a human-powered descent of the Karun, the longest river in Iran, a folding bike trip around the British Isles to climb the Six Peaks and a crossing of Argentine, Patagonia, on horseback. A passionate storyteller and a firm believer in the power of an adventurous mindset as a key element of fulfilment and success, Leon brings the audience on a journey with him; along the frozen banks of the Yellow River on foot, over the high passes of the Rocky Mountains by bike, or through the searing heat of the Empty Quarter desert with a 300kg cart in tow. Leon relates the lessons he has learned from these expeditions to everyday, real-life challenges – the importance of determination, risk-taking, resilience and flexibility. Adventure is not just trekking across China or navigating through a subzero blizzard – adventure is all around us, everyday, and in his talks, Leon uses humour and anecdotes from many thousands of miles on the road to explain the benefits of recognising and embracing this concept. 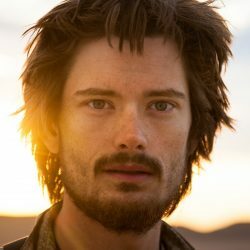 Leon’s first book, The Road Headed West (2014), details his bicycle journey across North America. Now an Amazon Top 10 bestseller, The Road Headed West offers a strong message about all the possibilities that are out there for people, whatever their interests, and the importance of giving 100% to their endeavours.